Warhammer: Vermintide 2: Winds of Magic developer Mats Andersson talks about changing the gameplay loop and a ballpark release date. 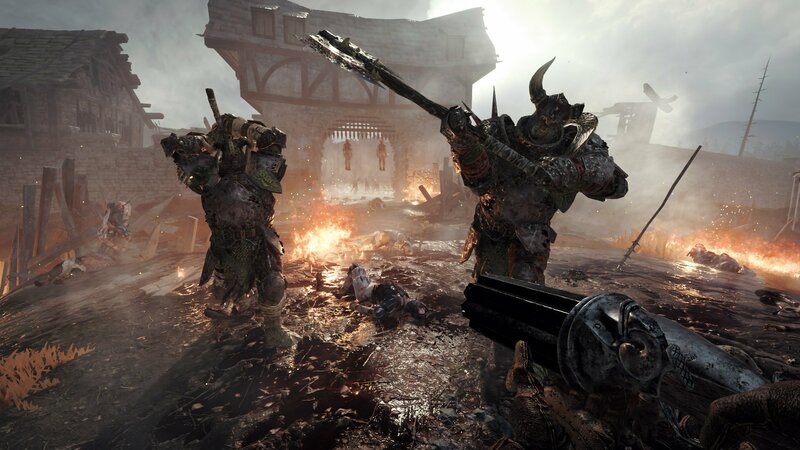 Warhammer: Vermintide 2 released just over a year ago to mostly positive reviews. Shacknews’ own Kevin Tucker reviewed the game favorably, and that was just the vanilla version. Vermintide 2 has seen more than one DLC since its launch, with Winds of Magic being next on the list. At GDC 2019, Greg Burke spoke with Vermintide 2 developer Mats Andersson about all things Vermintide 2: Winds of Magic, including the studio’s plans going forward and a possible release date. From the beginning of the interview it’s clear that Winds of Magic is not just another DLC, with Mats saying that it’s more of an expansion for the game in that it’s bigger than a normal DLC. In fact, Winds of Magic is a collection of things that Fatshark has been working on for Vermintide 2, and one of the key focuses is on changing the gameplay loop. The list below (via Steam) outlines some of the ways that Winds of Magic hopes to accomplish that. The interview didn’t just focus on Winds of Magic, though. Mats also talked about how Fatshark was all in on Vermintide 2 and mentioned that they plan to support the game for a few years using a live-service model. He was also sure to point out that the goal is to make the game as good as possible and add a real depth to the experience, not just make money. Unfortunately, Mats didn’t have a specific release date for Warhammer: Vermintide 2: Winds of Magic other than to say "When it’s done." He mentioned the summer, but you can’t yet mark it on your video game release date calendar. What you can do, though, is visit the Shacknews YouTube and GamerHubTV YouTube channels for more exclusive content from GDC 2019. Great game, I am looking forward to the expansion.